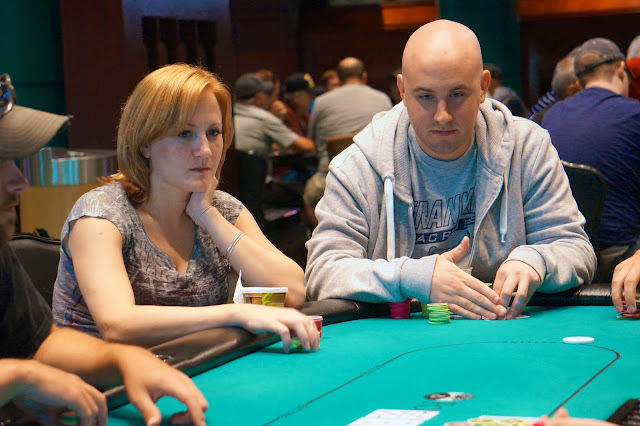 While they might be seeing each other away from the felt, things are different at the poker table for Jamie Kerstetter and Zachary Donovan. 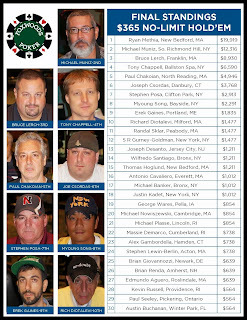 Tonight, the two find themselves facing off in the Foxwoods nightly tournament. 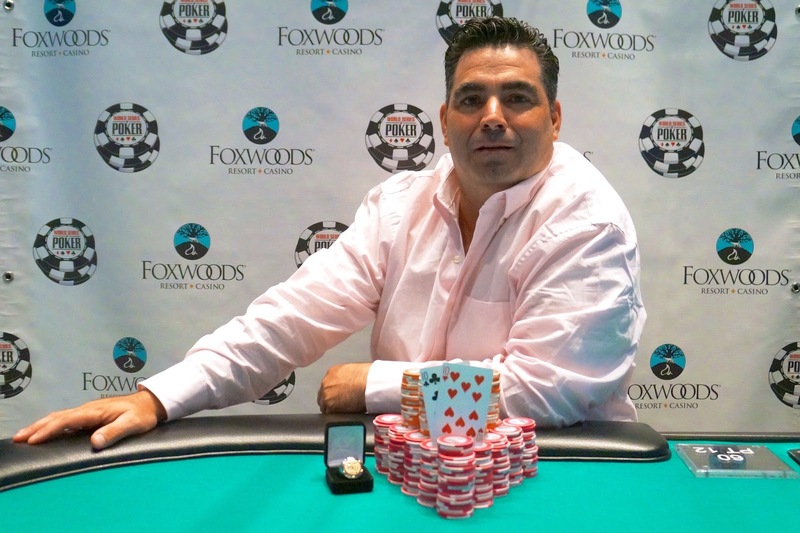 Congratulations to Grant Lang, winner of the $580 No-Limit Hold ‘em Six-Max event at the Foxwoods Circuit. Grant takes home $21,891 and the Circuit Ring for his victory. 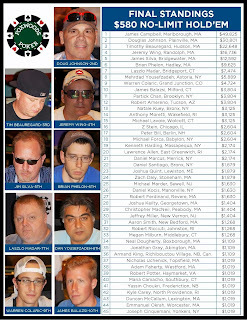 The eighth event at the WSOP Circuit, the $365 No-Limit Hold 'em, drew 325 players. 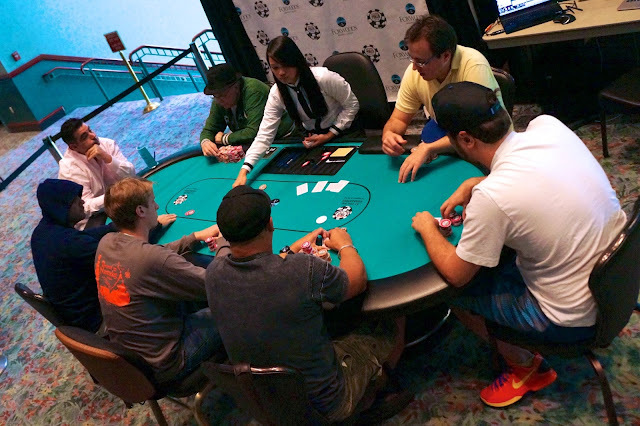 Day 2 of the $580 Six-Max Now Underway! 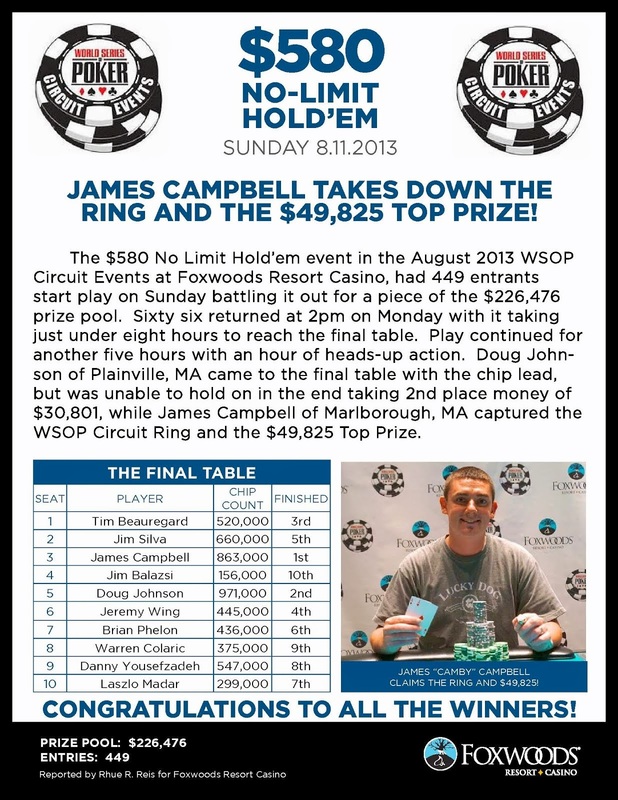 The $580 No-Limit Hold 'em Six-Max Day 2 is now underway. The blinds are currently 4,000-8,000 with a 1,000 ante. 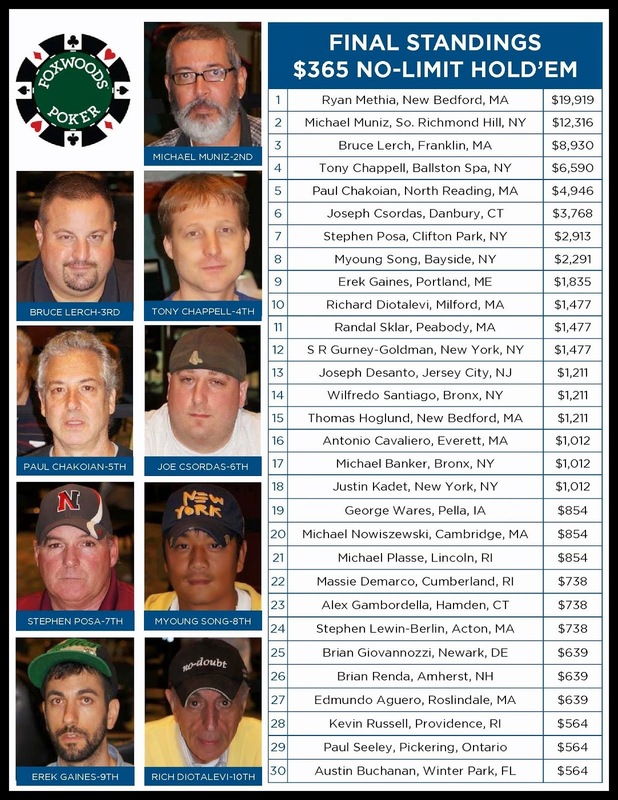 The eighth ring event at the Foxwoods Circuit Series, the $365 No-Limit Hold 'em, is now underway. 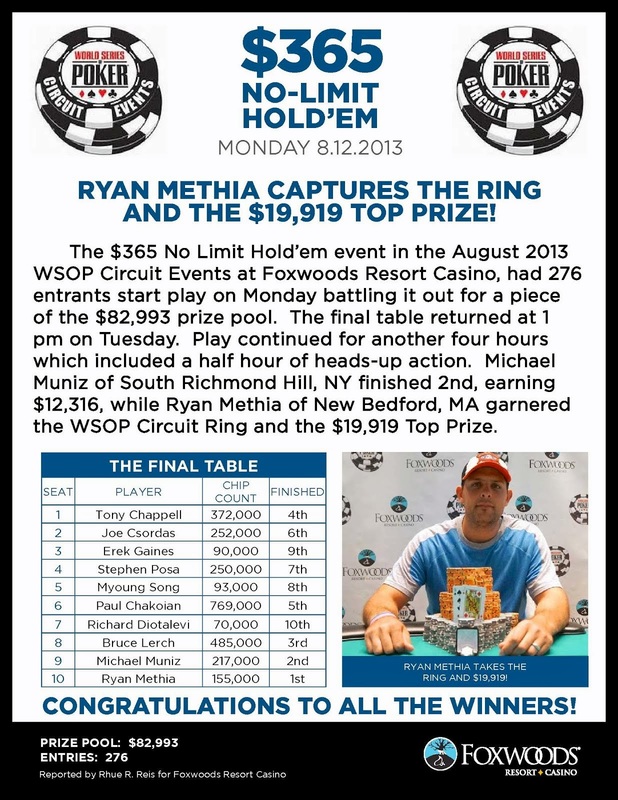 Players start with 10,000 in chips and the levels begin at 30 minutes in length. 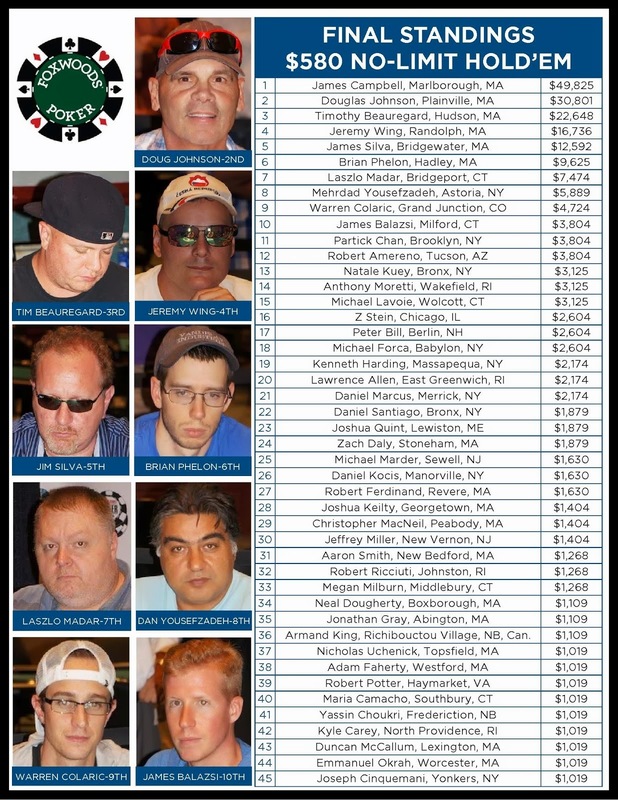 Day 2 of the $580 Six-Max event gets underway at 1pm today.